"We are extremely pleased with the positive results that we have received from NIH Research. The detailed comments exceeded our expectations and provided important insight. Not only are we getting quality leads that we wouldn’t have been able to get otherwise, they are collecting valuable market intelligence that will help us define our product road map for the future." 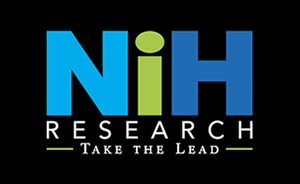 NIH Research & Consulting, LLC (NIHR) was founded in 1992 to address the ever growing demand for professional, specialized and focused market research and lead generation for the healthcare and healthcare information systems industries. Our mission since day one has been clear – to provide a level and quality of service that creates a strategic and tactical partnership in any sales, research, or marketing efforts. With objective, impartial market research and lead generation at the heart of our business, our company has been built around several principles since our founding. Healthcare Information Focus: The healthcare industry is the only market we explore. That means you can rely on industry experts to develop, conduct and complete your company’s research. The benefits to you are more insightful observations and worthwhile opportunities. Independence: Because the best research is that which is completely objective and unbiased, NIHR has always operated as a completely independent research firm. We are not affiliates of any other company, business, product manufacturer or service provider in the healthcare industry. Results-Oriented Service: Our ability to consistently deliver usable, informative, insightful research and leads is the key difference between NIH Research and other research organizations. We’re able to do it through a unique, professional approach that maximizes your sales and marketing opportunities. In fact, our performance is so impressive that over 90% of our clients continue to use us in the future. Founded in 1992, our credentialed industry experts develop and implement high-level marketing and sales support services. We excel in delivering informative research and quality leads to clients and have a proven track record of providing essential market insights to the technical healthcare industry. With over 95% client retention and an above- average staff tenure of 10 years, we are very proud of our reputation and the company culture we have created. NIH Research & Consulting (NIHR) is a proud supporter of LifeNet4Families to end hunger and homelessness. LifeNet4Families has 30 years of providing service to the hungry and homeless of Broward County. From the humble beginnings of distributing a few peanut butter and jelly sandwiches to the homeless, to today’s provision of 1.4 million meals a year, LifeNet4Families dramatic development has reflected both the growing numbers and the growing needs of the poor in our community. LifeNet4Families works with numerous community organizations to reduce the pain and suffering of those needing food and resources to improve their lives. Learn more at https://www.lifenet4families.org/portal/home.